March 17, 2019 - Thank you for visiting! The last posts for 2018 have been completed. Be sure to check them out. We have a better handle on getting started for 2019. We are sad our friend Carolyn's treatment at MD Anderson was not successful. We spent a lot of time with her and Charlie and had lots of wonderful time together. They returned to Georgia, and she passed peacefully on Sunday, March 17th. (Obit pending) If you would like an address to send a card, email or message Terry on Facebook. May 30, 2018 - We just added another link to our list of blogs - Vicki's latest is Where Possibility Awaits. She is a very busy lady! We remain in Houston with friends Charlie & Carolyn while she goes through treatment at MD Anderson. What an incredible place it is with so many, many dedicated people. May 23, 2018 - 2018 brings more loss. In April we lost one of Terry's Canadian cousins, Philippa Mayer. Last week we got the news that Richard Robison, a grandson of James Ball Naylor who was the subject of the biography Terry wrote. Sadly, we just learned that one of her cousins in Washington state passed on the same day. Check the Obits Link above to view their obituaries. We are now hanging out in Houston with Charlie & Carolyn while she goes through treatment at MD Anderson. There is really not a lot we can do, but just our presence seems to help. After the rough start to the new year, we need to take a break and slow down - not an easy task for Gerry - ever! We will figure out later how we proceed from here. April 4, 2018 - 2018 continues to be very busy. Sadly, we just posted another obituary, this one for our friend Carol's mother, Kay Rowling Long. The year has not started on a good note for us. Gerry ended up in the hospital on New Year's Eve and 4 days later had his gallbladder taken out. Terry took a nasty fall and bruised her ribs. The RV has had several things that needed to be taken care of - right in the middle of the big freezes we had in the Hill Country. Then the car... But the worst is over and we are on the mend. Februry 4, 2018 - Last year we were not able to keep up our usual pace in making updates to the website. Once so far behind, it has been hard catching up - we are still not quite caught up. This update reveals a new look for 2017. Going back through the years shows how the style has evolved. We also post obituaries of family and friends. Sadly, we've already added one for 2018 for Robert Carr, another for December for Yvonne Potts, a MILWIT friend, and for Blythe Schubert, a friend we made on our Ohio trips. Although the Obituary for Ron Woolsey from Pensacola is a year old, we only learned of his passing when we visited Pensacola in October. Ron was a friend from our first D.C. tour in the 1960s. We had reconnected two years ago after more than 40 years. November 2017 - Because Terry had cataract surgery on both eyes last summer, we were grounded in Texas until late August. Once released, we headed East - barely ahead of Hurricane Harvey. After settling in at the Brickyard Plantation Golf/RV Resort in Americus, Georgia, Hurricane Irma had us heading northeast into South Carolina before returning to Americus for the rest of our stay. June 12th, 2017 - Unfortunately, we are still not caught up on our posting, but we putting a dent in it a little at a time. The updates so far take us through Superior, Wisconsin. We are grounded in Texas until at least August. Terry had cataract surgery on one eye last week and will have the other one done mid-July. February 19th, 2017 - Unfortunately, we are still not caught up on our posting, but we did put a big dent into the process. The new posts are above Cohokia, Illinois. Shown also are the links that we are working on. More sad news under obituaries. We lost Terry's cousin Joe Roy in early December. There are many posts over the past years of our visits with him and Kent in Mount Angel, Oregon. He was a wonderful host and a wonderful human being who will be missed by a large family and many, many friends. Then on January 30th we lost Roberta Walters in San Diego. Bert & Darrell were longtime friends - we were stationed together on Okinawa in the '60s and on Guam in the '70s and we visited each other in lots of different places over the years. October 25th, 2016 - We just got back to Boerne, Texas, this week and are just getting settled in. More sad news - we lost a newphew, Steve Flaherty, son of Gerry's brother Harold, on October 18th. Our hearts are heavy for his wife Barbara and her family. His obituary is posted here: Steven Harold Flaherty. October 6th, 2016 - Right now we are kicking back at Tinker AFB in Oklahoma City, OK, on our way back to Texas. Terry is working on our latest book that we will be publishing for a friend, and Gerry is getting in a little golf when he can. We are keeping a sharp eye on storm news - we dodged a big one the other night and more coming in tonight. September 18th, 2016 - We have been on the go since leaving Ohio and all the activities there. We hooked up with Charlie & Carolyn at Sault Sainte Marie after doing all the touristy things along the west coast of Michigan and visiting Mackinac Island. After Sault Ste. Marie, we headed across the Upper Peninsula (UP) of Michigan to Duluth and on to Minneapolis. In touching base with Terry's cousins in Minnesota we discovered that one cousin Terry's age had passed away just 3 weeks before. His obituary is posted here: Maurice Francis Gagnier. July 7th, 2016 - Today we finished posting the last of 2015 and some of 2016. New postings start with Reno, NV. The rest of 2016 is now under construction. There has been a lot going on, and we have been in the moment more than we have been observers (and photographers). Please bear with us! October 20th, 2015 - Sad family news! Gerry's youngest sister Mary lost her husband Donald Derby on October 8th. We stopped in for several days on our way up the coast and again for six days on our way back down to help them get settled in their new home. A memorial service was held on October 19th, 2016, in Rogue River, Oregon. Please contact us for their new address. July 19th, 2015 - This update includes our stay in San Diego (includes two pages) and our Family visit with Mike, Lisa, and family - it also includes FOUR pages. February 4th, 2015 - Better late than never - and we apologize for getting so far behind - the last posting was in early June last year! So lots of new photos are now included. All but the bottom 5 links under 2014 are new. Check out our visit to Jim & Vicki's under the Family Menu Item at the top as well. Also, several obituaries have been added, including for Gerry's sister Ann. June 7th, 2014 - This year is turning out to be another year overtaken by events. This time its because Gerry had to have eye surgery; not just any eye surgery, but surgery to repair a macular hole. The unusual part of this one is that recovery requires him to stay face down 24/7. It was ten days by the time he saw the surgeon yesterday. Thanks to all of you for your well wishes and prayers. The surgery went well - the recovery is a challenge - but mission-oriented military man that he is, he's getting through it. Healing is going well - the gas bubble is still in his eye and until it is completely gone he will have to continue sleeping face down and doing 15 minutes of every hour face down. It will be five weeks before he sees the doctor again. Meanwhile, he is to continue taking it easy (the biggest challenge) and our travel plans are on hold. Most important thing is his sight, so we will do whatever is required! Great news from California. 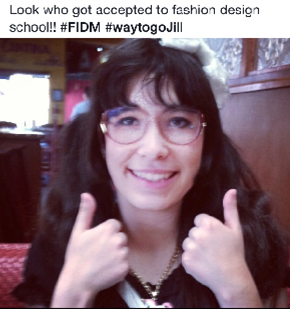 Granddaughter Jill, a junior this year, was early accepted to FIDM (Fashion Institute of Design and Merchandising) in L.A. We are SO proud of her!! Everything in 2014 has been added since the last update as well as an obituary for MILWIT friend Billie Faye Hisey. January 30, 2014 - We made it back to Texas much later than we usually do. Getting the website updated this time was a major deal because Terry's laptop crashed on the road - after she took a leap of faith and purchased a new Mac (the Big Switch) and before she had copied all the data off the old one. The Geek Squad at a Best Buy was able to retrieve the data, but getting everything loaded and set up - and working - midst all the goings on, has been a major challenge. So - if you find any broken links, or anything strange - please send us an email so that it can be fixed. Everything since Lodi is new, as well as the Oct 2013 link in the Family section, where there are two pages. Be sure to check them all out. October 14, 2013 - Niece Sandy is on the mend - not quite there yet, but definitely better. After a three-month stay, we headed on down to son Mike's where we will hang out for a month with the four of them. (No jokes about being Stuck In Lodi Again!) This update includes lots of photos of our time in Lodi. August 31, 2013 - We are still in Lodi, helping Sandy get back on her feet (literally)! She is on the mend, but the healing process is slow and painful with lots of challenges ahead of her. Please keep her in your prayers. Terry's 50th class reunion was on the 24th and a good time was had by all - really fun to see how much (or how little) some of our classmates had changed. MILWIT friends Wayne and Sheila parked their rig close to ours out at Flag City RV Resort where we have been staying and spent three days with us. Sheila was a welcome inspiration for Sandy. We hope to be heading south soon to spend time with Mike, Lisa, Jillian and Jeremy - then on to San Diego and back to Texas. Because Terry has been taking care of Sandy, the website has been neglected and this update includes two month's worth of photos. Our apologies for the delay! The update includes from Alburquerque to Kennewick. July 10, 2013 - Just posted the latest obituary for Terry's cousin Joan's husband who passed away on June 14th. 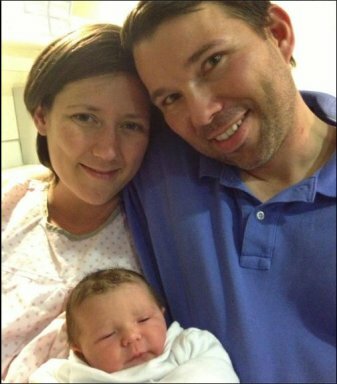 July 2, 2013 - More difficult times for our family. Our niece Sandy, who lost her husband in May, has been in ICU for more than two weeks. She is finally showing signs that she is on the mend. Terry flew down from Portland to be with her. Sandy was moved to UC San Francisco Medical Center where she has been getting excellent care and Terry is with her. Gerry left the RV in Portland and drove over to Kennewick, Washington, for a quick visit with his sister Joyce and her husband Tony before returning to pick up the RV and head down to Lodi. This means that we will not return to Washington this trip. So for those of you that we expected to see when we got into the area, we will not be coming. Sandy's recovery will be slow and we need to stick around and help her for a while. Then we will continue on down to Mike's and back to Texas in the fall. Please keep Sandy and her family in your prayers! May 24, 2013 - Sad news for our family! Our niece Sandy lost her husband on May 18th. Although Gary has not been in the best of health, his death was very sudden and so unexpected. Their son Richard (and Terry's godson) is graduating from college on the 25th. We altered our route and headed for Lodi so we can be there for Richard's graduation and Gary's memorial service. Although technically Gerry's niece, Sandy has been a little sister to Terry since she was a baby. Gary's obituary is now posted. May 14, 2013 - We are on the move - heading West! This update includes 4 more links under 2013 with LOTS of photos: Lake Pointe; Boerne; San Antonio; Fort Worth, and the MILWIT rally in Wichita Falls - all in Texas. We are so tickled to let everyone know that Terry's niece Lindsey and her husband Shawn had a beautiful little girl, Sophia on April 25th! For all my Roberge Cousins: Canadian Cousin Eleanor asked about a beef soup recipe that Grandma (Eglantina) Roberge used to make. We received a response from another cousin who has her mother Adeline's recipe. She says the secret is the spice ball that is cooked with the soup. If anyone would like the recipe, we can put you in touch with Cousin Sharon who has it. April 17, 2013 - Changes to the website - FAMILY PAGE: Our 50th Anniversary celebration can be found in the first two links under the Family Menu Item. Check out the February 2013 and the 1941 - 2008 links under ALL OF US from the FAMILY link (or simply click on the blue links here). 2012 TRIPS PAGE: Three new links have been added to the top of 2012 Trips, for Mike & Jeremy Arrive; Christmas; and Beeville, TX. 2013 TRIPS PAGE: A new page has been added for 2013 with four links for Texas, for Rio Grande Valley, Corpus Christi, Port Aransas, and Beeville. OBITUARIES PAGE: A 2013 page for Obituaries has been started, but details for Charles Burley, Terry's cousin, are not yet available. HOME PAGE: A new link for 2013 Trips. In Other Links (to the left) son Mike's business is now changed to reflect his design work. Please check it out! HOME PAGE: Previous News items have been moved to another page titled OLD NEWS. That link is on the last line below. For all my Roberge Cousins: I have a request from Canadian Cousin Eleanor - "I am looking for a beef soup recipe that Grandma (Eglantina) Roberge used to make for us when she visited. It was made from beef knuckle bones and had barley, celery, carrots, onions and tomatoes. I have made it and it is good but there is something I am missing. The only people that I thought might know this recipe are Auntie Jeanette (Colin's wife), some of the cousins or I thought maybe you have heard of it being in touch with so many family members. Would love the actual recipe if anyone knows what it is." Use the Contact Link above to respond. Thanks! December 2, 2012 - Terry sure hopes there is no correlation between when her books come out and bad news in the family. Gerry's brother Jim died on the day she received the proof copy of the biography that she wrote. The day she received the proof copy of her latest book, Gerry's brother Don went to the hospital. He is not doing well, so please keep him in your prayers! We are busier than ever, but we have not been very good at taking pictures. We have added a few entries under 2012 since the Beeville update. Check out the latest 2012 links to see what has been going on! We hope to have some exciting Christmas photos as our son Mike and grandson Jeremy are coming (Lisa & Jillian are off to Paris with Lisa's folks). We'll see them all in February for our 50th anniversary get together. Vicki is still going full steam ahead. She now has THREE blogs. She just converted her Try This! series to a Blog - Leading with Intention. November 4, 2012 - Still working on an update, but did want to let everyone know that we have added two obituaries, one for Betty Flaherty, widow of Gerry's brother Chuck, and one for Lorajean Spencer, 33, daughter of Allan and Jean Vrieze. Jean is Betty's sister. They lost Lorajean in August. I also wanted to share the links to Vicki's two new blogs. They can be found below our photo to the left! More later. September 26, 2012 - Just posted two obituaries for August - one for Dottie Bourque - an RV friend we met in the Rio Grande Valley; and one for Doris Sciba - a cousin to Glen and Jinny that we've gotten to know. And now I have to add another for September - for Roger Tompkins. He was one of the owners of the Book Loft in Columbus, Ohio, where Terry did a book signing last year. Roger came to McConnelsville for the launch of Terry's biography of James Ball Naylor and we have stayed in touch since then. He was 68. We made it back to Corpus Christi this week and we are settled in for the winter! Our trip from Florida was a lot quicker than we expected since Isaac kept moving west, driving us further west. We stopped for two nights in Biloxi, overnight in Lafayette - leaving the next morning before the storm hit. We just kept driving all the way to San Antonio. After a stop at Lake Pointe to regroup, we headed for Beeville to visit friends in town - and in time to catch the opening of dove hunting season at the ranch there. Now that we are back in Corpus Christi, the first order of business was to update the website. This update picks up after Marietta. Please let us know if you find any broken links, etc. August 19, 2012 - After spending some time in Georgia, we crossed through Alabama where we stayed in the Fort Benning FamCamp on the Alabama side and then visited for a long weekend with Wayne and Sheila before heading back into Florida. Fort Benning has a really nice resort in Destin, Florida. This update covers our stay in George: at Kings Bay, Fort Stewart, Savannah, and Marietta (for Charlie & Carolyn's wedding). August 19, 2012 - Terry did two months of vestibular rehabilitation (balance therapy) in Jacksonville, FL, in April and May and continues to do well. Gerry measures her progress by whether she makes it to the golf course or not. So far, she has done well and is back on the golf course holding her own. So we are counting the therapy as a success. The Big News is still the release of Vicki's book of poetry, Mostly My Heart Sings. Vicki is getting lots of local press, and has enjoyed doing readings for several cancer support groups. We rolled out an updated version of the Turas Publishing website, where her book is available; and we added a Turas Publishing Facebook Page, and Vicki added a Mostly My Heart Sings Facebook page. It would be much appreciated if you would you check them out and LIKE us there. Links to the articles about Vicki are posted on the Turas Website as well. We continue to look for reviews of Vicki's book that we can post. Thanks!